Quality and affordable office space. Aspen Creek offers tenants the convenience of being located directly off I-25 along with a great view of Casper Mountain. This office building has a free exercise facilty, adequate parking, a beautiful courtyard and 4.5 acres of improvements and immaculate landscaping. 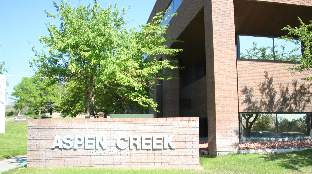 Casper Business Center is one of the largest office buildings in Casper. With its downtown location and covered parking garage offices in this building are highly coveted. 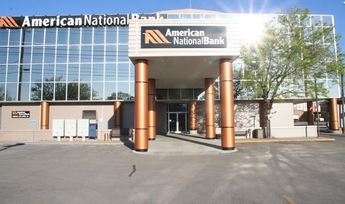 American National Bank is also located in a prime downtown location. With plenty of parking, large offices with mountain views and on site management these offices are also very popular. Energy I is located directly across the street from Aspen Creek and provides the same easy access off I-25. This office building offers very competitve rates and like all of our large office buildings the lease price includes utilities, janitorial services and ample parking. Other Properties Owned or Operated by Wyoming Financial Properties, Inc.
- Retail Space located in Downtown Casper. - Renovated historic house located in Downtown Casper. - Aquired for Wyoming Financial Insurance Inc. for office space.